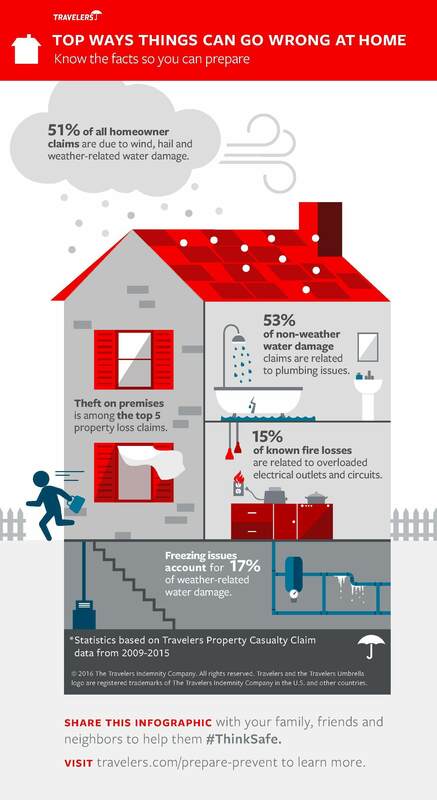 Pop quiz: What type of property-loss claim do homeowners most commonly file with insurance companies? Here’s a hint: It’s not due to fire. According to statistics The Travelers Indemnity Company collected between 2009 and 2015, water damage—from frozen/broken pipes, leaky toilets, busted water heaters, and the like—is a more common property loss than theft or even fire. To help reduce those claims, which can result in higher insurance premiums for homeowners, the team behind the Roost smart smoke alarm and the Roost smart smoke-alarm battery announced on Wednesday the Roost Smart Water and Freeze Detector, a $50 sensor that will detect the presence of water, extreme temperature, and high humidity in your home. The device will send a push notification to your smartphone if any of those parameters get out of whack, so you can take action to prevent or reduce water and/or mildew damage. According to Travelers, your home is more susceptible to water damage than any other type of loss. “The Roost Smart Water and Freeze Detector complements the home peace-of-mind and safety story that we started with the Roost smoke-alarm battery,” Roost’s Chief Marketing Officer David Henry said in an interview earlier this week. “We’re leveraging the same app and a lot of the same technology that’s in the battery, including the power-controller processor and the Wi-Fi chip." As with its battery, Roost’s water and freeze detector will connect to your Wi-Fi network, so it won’t require a hub or any additional hardware beyond a wireless router. 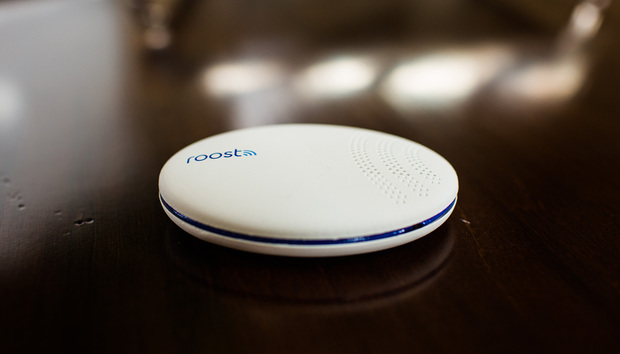 And unlike some competing Wi-Fi leak sensors, Roost’s will run on four AAA batteries instead of AC power. The water sensor will spend most of its time asleep, waking up only for periodic health checks or if triggered by the presence of water or freezing temperatures that could lead to a frozen and then burst pipe. 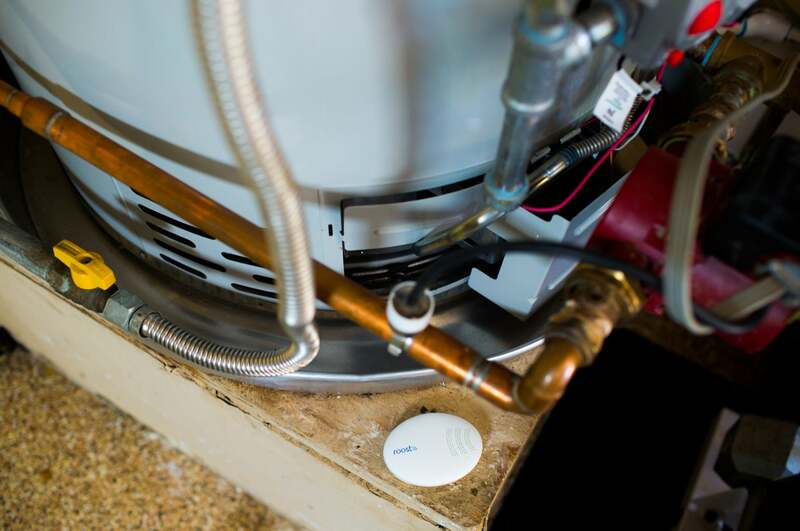 “Because we’re not AC powered, you can place the sensor anywhere you need it,” Henry said. “And the batteries will last three to five years, sending an alert to the app when they need to be replaced.” The battery will wake up for just a few seconds every day to perform a handshake routine with the router, according to Henry. If the sensor doesn’t check in after 48 hours, Roost’s servers will send a notification to the user that it has lost contact with the sensor and will prompt you to investigate. The impact on you at home: Users will be able to deploy multiple Roost Water and Freeze Detectors to cover all the places that are susceptible to water damage: next to toilets; beneath sinks; near water heaters, dishwashers, and washing machines; and in basements. Henry also suggested several novel applications, including a wine cellar and a cigar humidor. He said Roost also plans to offer a sensor extension cable that will extend the detector’s reach. The extension will be available at launch, but Roost has not yet settled on pricing. The Roost Water and Freeze Detector runs on battery power, making it easier to place in locations that might be far from an AC outlet, such as next to your water heater. Henry said Roost doesn’t currently have any plans to integrate its devices into broader smart-home systems, which is either good news or a missed opportunity, depending on your perspective. The good news is that you don’t need to buy anything else for it to operate, and its reliance on battery power makes it easier to place—you won’t find an AC outlet next to most water heaters, for instance. But not being able integrate it into a broader smart-home platform means you won’t be able to have the sensor automatically adjust your thermostat to turn on your furnace if the temperature approaches freezing, or trigger a smart valve to shut off your water supply if a pipe bursts. A competing product that does tie into smart-home systems, the $55 Fibaro Flood Sensor, hit the market earlier this month. It’s also battery powered, but it must be connected to a Z-Wave-compatible controller, such as Samsung’s SmartThings hub, in order to send messages to your smartphone. Fibaro recently sent us one of these units, so we’ll post a review soon. As far as Roost goes, Henry said the company intends to provide the same level of IFTTT support for its water and freeze detector that it does today for its smart smoke alarm, so we’ll explore that when we receive Roost’s product for review.